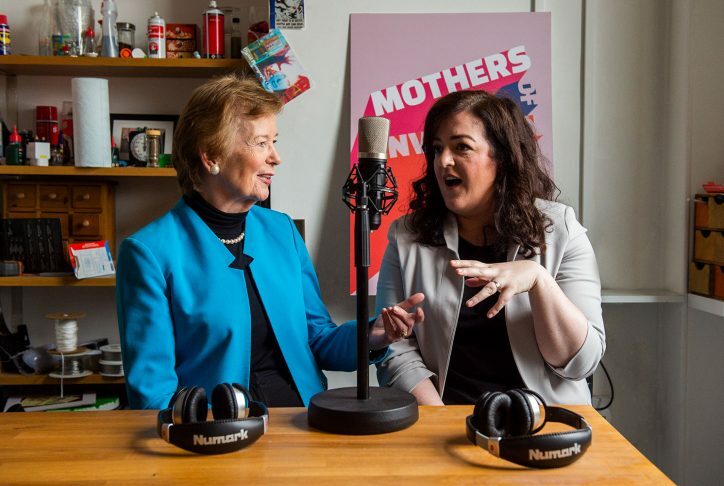 Our inspiring former President, Mary Robinson, has joined forces with comedian Maeve Higgins to create a new podcast called Mothers of Invention. The series which aims to turn the gloomy subject of climate change into an urgent, yet positive and solution-focused movement in which we can all play a role. It features environmental activists from around the globe sharing their own experiences in speaking out and standing up for the environment such as a group of inspiring young citizens who decided to sue their government for not doing enough to tackle climate change. Among many featured stories in the first episode is that of Ridhima Pandey from India and a petition she started against her government at the age of just nine years old. She argued that the Indian government had failed to fulfill its duties to her and the Indian people to protect them from climate impacts – a hearing on the case is expected soon. Robinson and Higgins co-hosted this episode with human rights and climate change lawyer Tessa Khan, who is helping citizens take their governments to court in pursuit of climate action. 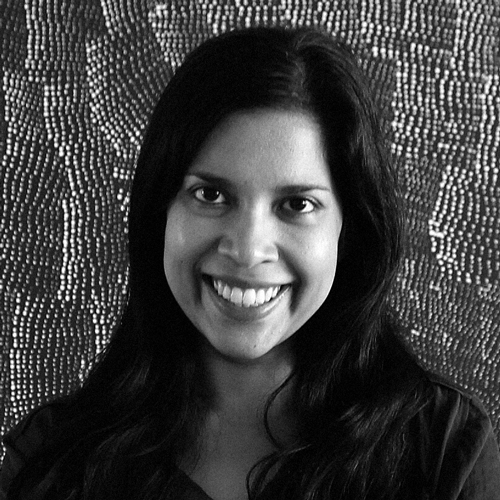 She’s a Bangladeshi-Australian working all over the world such as the Netherlands. In episode two, we heard uplifting stories of the divestment movement. The spotlight fell on Tara Zhaabowekwe Houska from Couchiching First Nation. She is an attorney and National Campaigns Director of Honor the Earth. This is a Native-led organisation working to create awareness and support for Native environmental issues, as well as finding financial and political resources for the survival of sustainable Native communities. After serving two terms as Ireland’s first female President, Robinson was appointed as the United Nations High Commissioner for Human Rights from 1997 to 2002. Indeed, female empowerment is a matter close to her heart, having grown up in a family of four brothers. In 2010 Robinson founded the Mary Robinson Foundation for Climate Justice, a centre for education, advocacy and leadership which works towards securing justice for the most vulnerable victims of climate change. Therefore, much of the content of the podcast is informed by the principles of Climate Justice that frame climate change as a political, ethical and human rights issue. Climate Justice acknowledges that climate change has a bigger impact on disadvantaged people, as well as economically disadvantaged countries in the Global South. Advocates for Climate Justice also highlight that climate change disproportionately affects those who contribute the least to it. It is generally accepted that women experience the worst impacts of climate change globally as UN figures indicate that 80 per cent of those displaced by climate change are women. Their livelihoods are also drastically impacted as more than 90 per cent of females in many African countries are involved in agricultural work. There is a chance here to make women agents of change in gender-sensitive responses to climate change. Robinson and other environmentalists such as Indian activist Vandana Shiva argue that it is women who are, in fact, best placed to ensure its preservation. 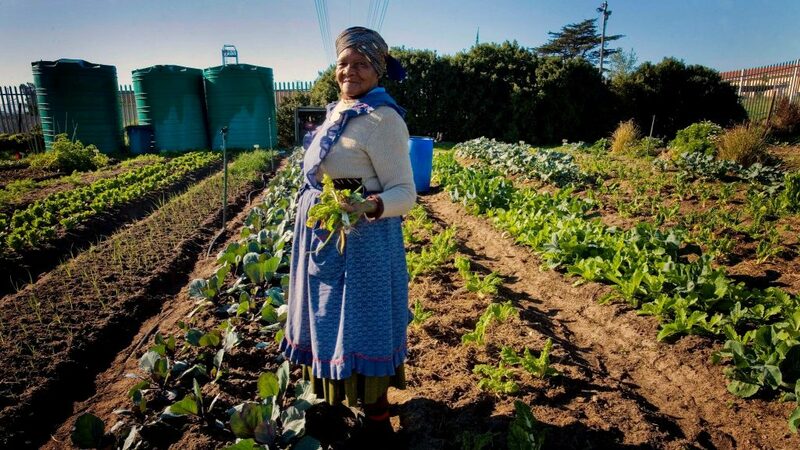 This is because women have a strong material link to the environment because globally they represent the majority of those working in small-scale farming, as well as resource management around water and wood. Females also preserve strong traditional knowledge by saving seeds and farming organically, hence they protect the natural world with their long-term outlook. Speaking at a UN forum in New York this summer, Robinson declared that climate change is a “man-made problem that requires a feminist solution”. This ‘feminist’ response to climate change can be described as a form of ‘Eco-Feminism’ but what is it and how can it revolutionise the feminist movement? Eco-Feminism most likely started off in non-Western countries such as India where the female-led Chipko movement stopped the deforestation in the Himalayas in 1980. They succeeded as they are the backbone of their regional economy and would have been affected the most by further deforestation. “Ecofeminism brings together elements of the feminist and green movements, while at the same time offering a challenge to both,” she says. Materialist Eco-Feminist authors such as Greta Gaard and Lori Gruen seek to dismantle the system of capitalism and its intrinsic need for the exploitation and destruction of the natural world and its people for the sole purpose of creating wealth. Here lies the chance to rebuild a system based on equal human rights in connection with ecological living. This is the main goal of materialist Eco-Feminism. According to Greta Gaard and Lori Gruen, the “separation between nature and culture” is the root source of our planetary ills. This means that we have to re-build our culture – our way of living – on a sustainable and respectful treatment of nature. Throughout Mothers of Invention, Robinson and Higgins shift the focus of climate conversation onto the many young, female and resilient activists fighting for a healthier planet for all. Let’s make climate justice the movement that we all need for our human rights and the conservation of our planet. 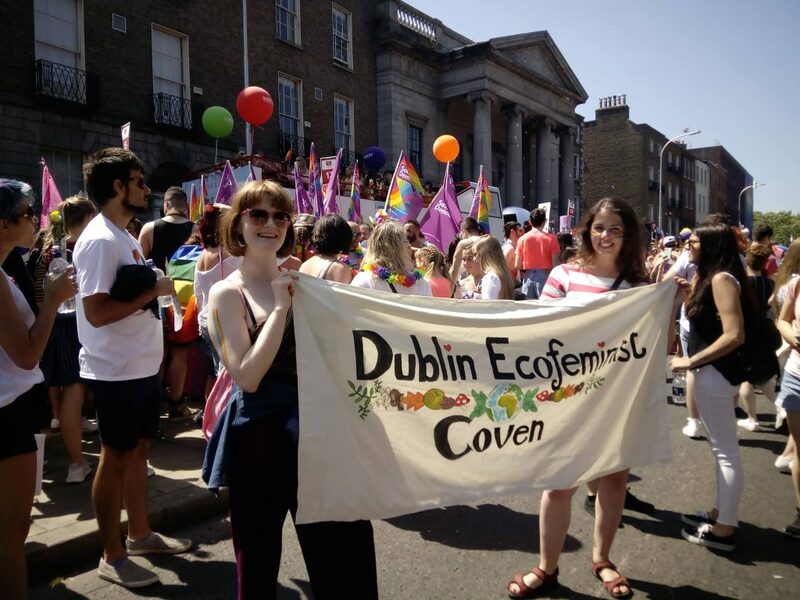 For the women who would also like to meet like-minded Eco-Feminists in Dublin, check out their Facebook group, Dublin Eco-Feminist Coven. To subscribe to the Mothers of Invention podcast, visit this link.